Processing the stalk material of the cannabis species is one tough job. Techniques used for centuries involve field retting (rotting) where the stalks are cut and lie in the fields to allow the plant gum (lignum) to decompose. Another technique is to soak the stalks in pools of water to accomplish the same thing. This also serves to dissolve the woody core material at the same time. Problems are twofold: a lot of the materials are degraded and damaged by these techniques. In regions where there is not enough morning dew, field retting will fail altogether. Depending on the strain grown and density of planting, the stalks can be very difficult to cut. Even the smaller stalks are much larger than typical grassland crops. Larger stalks are far tougher than corn or soy. Typical hay mowers are often not up to the job. Cutters with larger blades or mowing actions are needed. Some harvesters use triple level moving cutters. The height of certain cultivars can reach 12’ up to 18’ - far taller than most crops we grow. Modified wheat harvesters can be used to cut the crop and collect the seed, but they have a tendency to bind up on the tough stalk. 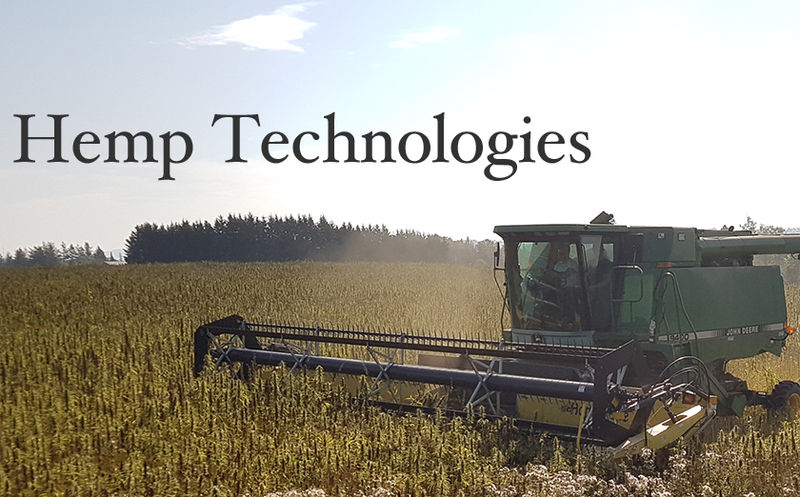 Forage harvesters chop the stalk into specific lengths up to 8” long ~ but this contains the leaf, fibre and woody core all in the same mixture. Processing the stalk by hand, separating the fibre from the core (hurd) is brutal labour. Methods of breaking the stalks crush the material with a brake. Waste and dust fill the air. Pulling the fibre from the stalks takes a lot of force. Comb-like structures are used to separate the fibre from the long retted materials. Further work is required to make these raw fibres into useful forms. Modern mechanization is the key to making this process more efficient. One of the first designs from the mid 1930’s did the work of hammering the stalks to separate the fibre. It was hailed as the invention that would transform the industrial cannabis processing. More modern technology has followed this same path: hammer mills. This is a way of processing large quantities of stalk to separate the fibre from the woody core. The finished process creates fibres that range in length from 5mm up to 15mm. Research would indicate that this method is currently dominant in the industry sector. Many applications can use fibres of these lengths: insulation, textiles, rope, matting etc. This process can produce up to 20 tons per hour in a large central factory. Logistics dictate that approximately 16,000 acres are needed within the “strike zone” surrounding the factory for sufficient raw materials. 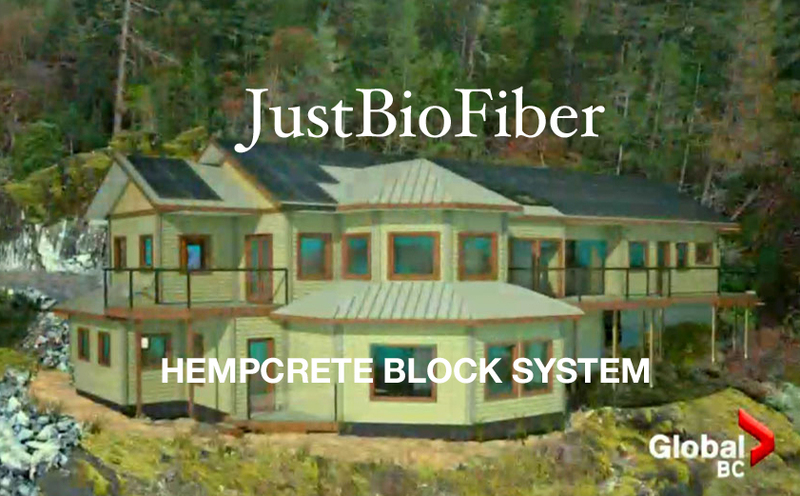 The latest engineering innovations process cannabis fibre using mechanical technology. This allows stalk material to be processed green in the fields upon cutting. Elimination of the retting process improves production, quality and quantity of the fibre and the uncertainty of weather conditions. Some of the new designs allow processing of both green and dried stalk. Stationary equipment can be used year around, feeding large bales of stalk to the systems on a continual basis. Innovative mechanical technology is key to advancing the industrial cannabis sector. Many applications for bio-fibres in todays manufacturing require longer lengths: 70mm up to 120mm for composite panels. 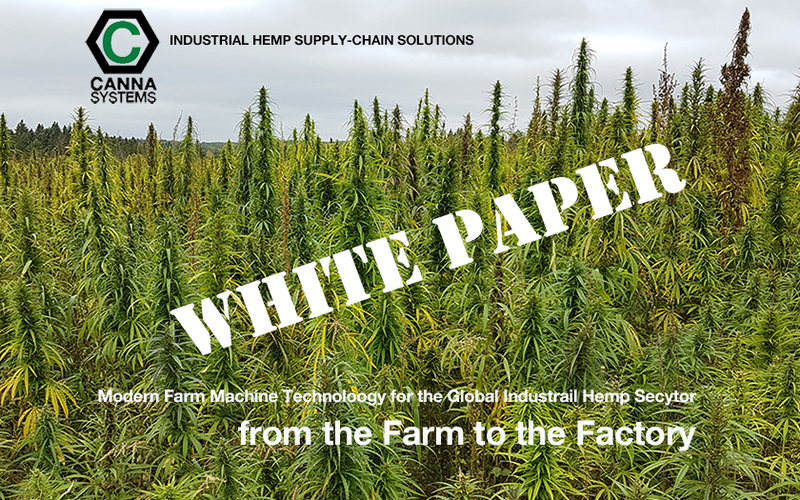 Solving the core problem to the cannabis processing challenge is what drives the industry forward. A large number of applications depend upon the key central factor of decortication. Simply growing thousands of acres of an industrial crop does nothing without the corresponding processing infrastructure running full bore. 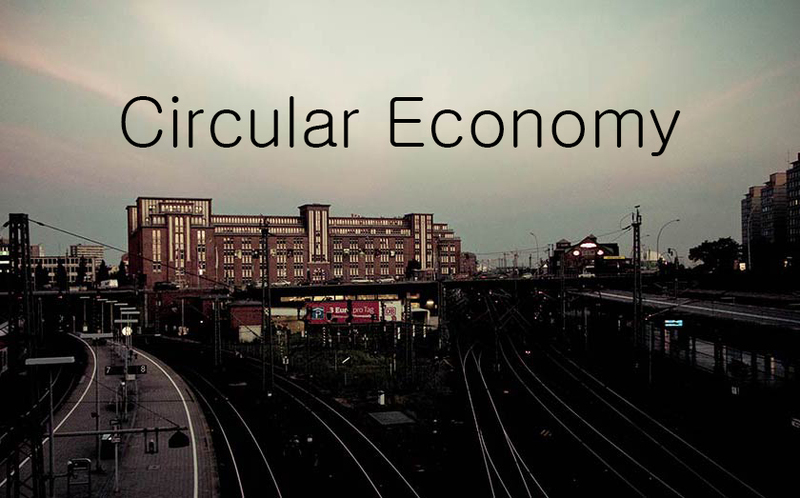 Supply chain logistics and industrial consumers are critical to creating supply and demand dynamics in the “green” blue-economy model. A means of efficiently separating the fibre from the core cellulose determines the fate of the industry. To illustrate: industrial cannabis has been legal across Canada since 1998. The rise, and fall, of the industry has depended primarily on seed grain production. The vast majority (99.1%) of the crop sector in 2017 was used for food & oil crops. A mere .09% goes into the fibre market. It has taken 20 years to reach 130,000 acres of cannabis cultivation across all of Canada. Ontario, for example, grows 3 million acres of corn. The encouraging number is that over the past four years, acreage has grown from 30,000 acres up to 107,000 in 2015. Still, it all is grown for seed grain and the stalk is largely wasted. Five different designs have surfaced that achieve the holy grail of green stalk decortication. The D-8 will handle green or dried material. The system can be upgraded to automate the process further. Another design from China will process up to 1 ton per hour but uses green material only. Third design in progress has the potential to be scaled up to a field level decorticator. Prototype phase has entered the production model stage with a mobile unit that was unveiled in April 2018. Fourth design is under development - based upon 'ribbon' decortication innovation. 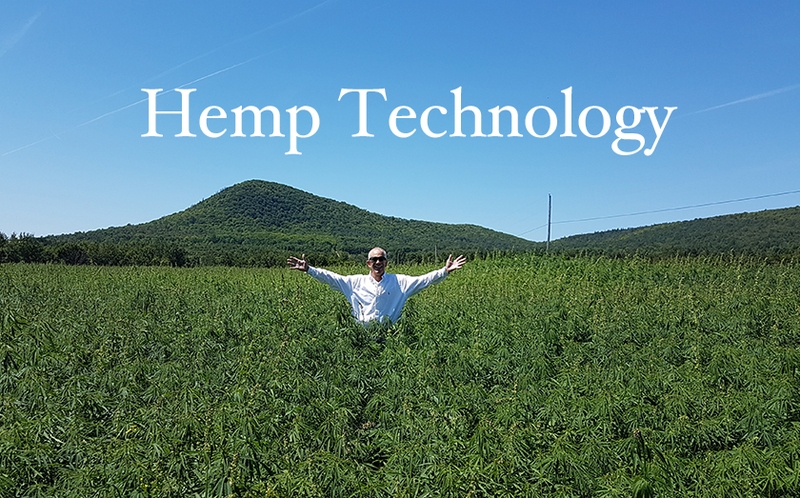 Design Five is our "R-2" system illustrated on the Hemp Processing Technology page. All of these advancements are important for the development of the industry. Small factories and local processing equipment will supply the raw material for industry and “green” products entering the market. Consumers will have more zero-carbon choices as the industry unfolds. We forsee at least five levels of decortication & processing equipment: small-scale local production, medium-scale facilities, mobile processing units, special-purpose facilites and truly large-scale installations that will handle 10,000 acres up to hectares of industrial cannabis production.